Home › Opinion › How should Rahic and Rupp take Bradford City forwards? After a few days back in Germany, new Bradford joint owner Edin Rahic will return to West Yorkshire next week and begin to truly assume control of the club, with fellow new investor Stefan Rupp said to be in a more backseat role. At the top of Rahic’s priority list will be finalising a playing budget to support Phil Parkinson’s aim of automatic promotion next season. League One looks set to be a weaker division than last year and, similar to the 1998/99 promotion season, a sizeable investment into the team now could prove to be a successful piece of timing. Yet beyond putting up the money to sign a proven goalscorer, a new midfield and a replacement for Reece Burke, it is curious to consider, at this point, just what difference Rahic can make, and what his priorities should be. Not because he doesn’t have any expertise to offer, but the relatively rude health of the club suggests that a gentle rather than a firm hand is what’s needed. It is unprecedented, at least in the club’s modern history, for a new owner to come in with City on such an upwards curve. Back in 1983, Stafford Heginbotham and Jack Tordoff helped to rescue the club when it was in receivership, ensuring its continued existence. Heginbotham stepped down for health reasons, and Tordoff eventually left in 1990, with the Bantams doomed to relegation after mis-spending the money raised from selling Stuart McCall and John Hendrie. David Simpson took over the reins, but he and his consortium could not stop City from drifting. In 1994 Simpson swapped clubs with Geoffrey Richmond, who famously took the Bantams to new heights. But he of course left under the cloud of 2002’s administration. Gordon Gibb similarly departed amidst the club’s financial strife of 2004. Even Mark Lawn came on board (joining Julian Rhodes) just after the club had been relegated. The point is that each regime change took place with the club either on the downturn or going nowhere. And thus the arrival of new owners was warmly greeted, their ideas openly embraced and their drive for change easier to implement. Rahic, in contrast, has bought a club that is progressing impressively on and off the field. Season upon season of improved league positions, record season ticket revenue, a small annual profit. Rahic has much to offer of course, but one of his objectives might be to avoid the urge to make wholesome changes, as it might risk destabilising that progress. Take Leyton Orient, who two years ago were in a very similar position to where Bradford City are right now. Under Russell Slade they had reached the League One play offs, losing the Wembley final to Rotherham. Francesco Becchetti bought Orient from Barry Hearn, claimed West Ham would be petrified of his wealth, and quickly sacked the over achieving Slade. It hasn’t worked out. Orient were relegated a year later whilst running up a £4.4 million loss, and failed to make the League Two play offs in 2015/16. Seven managers have worked under Becchetti in two seasons, one of whom was kicked by the owner and another is currently suing Orient. A club that was on the up have seemingly fallen to pieces following a change of ownership. Last season Burton Albion quickly emerged as as League One’s surprise package. Promoted the year before under the management of Jimmy Floyd Hasselbaink, they continued their momentum under the Dutchman. Only QPR came calling, Jimmy left the Brewers, and replacement Nigel Clough had the daunting task of not screwing up someone else’s excellent work. Clough recognised this and deliberately changed little. He acted as a steady hand and maintained Burton’s flight path. Burton were promoted again. As is often said in investment circles: sometimes doing nothing is best. It is not entirely the same and Rahic has plenty to offer, but you hope he is taking the stance of initially observing how the club is run, and providing some steer and insight, but isn’t assuming that he knows better. There’s a lot that the club has got right since 2012, and those who are behind that – and there will be lots of people – should be proud of their role. This isn’t a time for a revolution. Yet there is one area where I think Rahic might be wise to be consider – the strength and sustainability of the club. For how much progress there has been over the past four years, are the foundations underneath solid enough? Take Phil Parkinson. No one can question what an outstanding job he has performed, but what would the club do if he was ever to leave? The reliance on Parkinson is huge and no one should be pushing him towards the door, but there should be more football expertise around to survive if another club ever lured him away. There is talk of Uwe Rosler and director of football – a term everyone dreads – and it would be foolish of Rahic to appoint a football man above Parkinson who he doesn’t want to work with. But that doesn’t stop Rahic from working with Parkinson to find someone who can genuinely help the manager with signing players and the like. So there is a better structure in place to support both short and long term goals. Consider Barnsley. For a long time they turned sacking a manager into an annual event. But this season that stuck with Lee Johnson during a dreadful run of consecutive defeats that left Barnsley bottom of the league, and were rewarded by Johnson turning it around. But then, even more remarkably, they shrugged off losing Johnson to Bristol City. And they were proved absolutely right. Paul Heckingbottom took caretaker charge and Barnsley didn’t miss a beat. They ended the season promoted at Wembley after also winning the JPT. When I briefly interviewed Parkinson in September 2011 – just after he had taken charge – we discussed the role of Archie Christie, then pretty much director of football, Parkinson stated that clubs always need someone like Christie to help get deals over the line. There is no reason to believe Parkinson wouldn’t welcome working with someone else in such a role, but clearly it has to be on his terms and not forced upon him. At the other end of the player spectrum is the youth set up. It’s now 6 years and counting since a youth graduate made a meaningful contribution, and a consistent criticism that can be levelled at Parkinson is that he doesn’t give youth a chance. It’s a cheap shot in many ways, especially given the culture of the club doesn’t readily welcome young players. This could go one of two directions: Radic could increase investment in this area and improve the infrastructure of the youth academy; or he could scale it back, if not abolish it altogether. Brentford offer an interesting perspective here. At the end of the season the Bees announced they were closing their Category Two Academy (reportedly costing £1.5 million a year to run). In a statement the club explained “As a London club, there is strong competition for the best young players, and the club’s pathways to First Team football must be sufficiently differentiated to attract the level of talent that can thrive in a team competing at the top of the Championship. This argument is completely relevant to Bradford City and its own Category Three Academy. There is no doubt that, over the past 10 years, the Bantams’ youth set-up has paid for itself with the sale of a number of promising youngsters to top clubs, such as Tom Cleverley, Andre Wisdom, Fabian Delph, George Green and this season Oli McBurnie. Yet the revised rules (known as the Elite Player Performance Plan) mean that such financial rewards will not be available, as the maximum compensation is significantly less. Equally the first part of that Brentford statement, around having an academy capable of attracting players who can thrive in the team, is prevalent to City. To be brutal about it: City have grown a lot over the past four years, and the bar for getting into the first team has become much higher than it used to be. Parkinson can be criticised for apparently ignoring youth, but no one can realistically argue he has been wrong to do so. The City youth academy has to improve in line with the status of the club, otherwise it risks failing to produce players who are anywhere near good enough for the first time. There is absolutely no suggestion that’s the case at Valley Parade and I’m sure it has improved over recent years, but that bar continues to rise. Rahic must plant his flag somewhere on the spectrum of increasing funding for this area of the club or scrapping it. I hope it’s not the latter – it would be a terrible PR message – yet it has to prove its worth. But it’s not just about the player side of things. Bradford City clearly operate in an economical way, employing as few staff as possible and prioritising spend on the pitch. That is laudable (not to mention attractive to Rahic and Rupp in the first place, confident they were buying a cost-conscious football club that wouldn’t need downsizing), but it can lead to the odd cut corner and a make-do mentality that leaves the club weak at times. Consider the Upgrade The Parade campaign. It was very laudable to have fans raise money to cover the essential cost of refurbishing the changing rooms – Rahic must have been impressed – but the new active owner must have also wondered how the club was in a position where it couldn’t really afford to pay for it themselves, at least not without slashing the core playing budget. The club has operated in a way that leaves it at risk of not being able to afford any unexpectedly high costs that might suddenly arise, and that can have a detrimental effect on future plans. It’s a bit like having £1,000 in savings, entirely earmarked for a holiday, only for your car to break down and cost £600 to repair. With no other spare cash, the holiday plans have to be significantly downgraded. If you are more prepared for all eventualities, there is less chance of something significant going wrong. Clearly buying the ground now would be a considerable outlay, with little guarantee it would increase the value of the club in line. The Gibb family pension fund apparently have an above-market valuation for the ground. 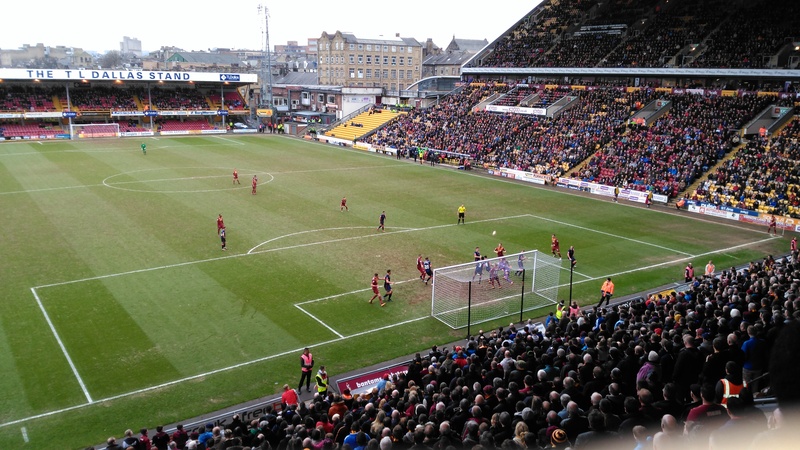 There is no doubt that buying back Valley Parade would be a hugely symbolic gesture to City fans, but you can understand Rahic ruling that it is not a priority. Beyond that, Rahic might consider if further investment in the ticket set up (and online system), marketing and training facilities can be enhanced to lead to more revenue or improved performance. It is less about fixing things that are broken, or ripping up current plans, and more a case of getting lots of 5% extra from key areas. They soon add up. The French sculptor/painter/writer Marcel Duchamp once said, “There is no solution because there is no problem”. It is not quite so plain sailing for Rahic and Rupp at Valley Parade, but they are starting from a strong position and that makes it harder to imprint your ways without risking that progress. There is no doubt they both have so much expertise and experience, but equally they have much to learn about their new investment. It is going to be very interesting to observe how they approach the next few weeks, their strategy for the 2016/17 season, and – ultimately – their long-term plan to take Bradford City to the next level. Good well thought out piece Jason, it seems i hope that Rahic & Rupp will tread gently into their investment without creating too much upset on a club that has stabillity and forward motion in place already. As you know, i have a problem with the lack of success of our youth programme and as you say this needs addressing one way or another. They will undoubtedly want to put their own mark on things in some way and there are possibly lessons we can learn from the German football model as regards interaction with fans etc although James Mason and his team are no slouches when it comes to marketing the club. An exciting time ahead for City fans, hopefully we enjoy the ride and as you say its not an ‘Orient’ trip. well events have overtaken us – Road & Road great on positive propaganda but fail miserably at real skill of building and developing a business. Wonder if they just pocket PP compensation as it seems they do not want to back their manager or indeed just want quick profit. Absolute Wallies – more like Renee and Renata. Vote Out!!!!! Well put Jason, from one of the more balanced fans. I hope that our new owners have thick skins because I am sure that the questioning will soon start!
. Why are you not spending ‘all’ of your money?
. Why have we not just bought ,that player?
. Why did you buy the club if you did not intend to blow millions in the first season?
. Etc etc etc ……………………..and worse!! My own mantra in relation to ‘our’ club is “Evolution and not Revolution”, and I hope/believe, that Messrs Rupp and Rahic are very much part of the fit that continues that evolution. They have bought the club to ‘do something’ with it. As you quite rightly point out it can only be progression to develop and improve what we already have. A very enjoyable read but one thing I did disagree with was your statement that this season will be weaker than last. For me last year it was obvious Wigan would win the league even though Sheff Utd were favourites. They are favourites again this year but I think it will be tighter than ever especially with the 3 teams that came down and Northampton who came up. I would say Northampton and Bristol Rovers are stronger than Crewe and Colchester. I also think Bolton will be no Blackpool and will be fighting at the top of the league. I think we are arguing the same thing. It will be a more competitive division, but to me that is because the money disparity is lower rather than everyone else being significantly stronger. Wigan, for example, came down last year with parachute payments still being paid and so had a huge financial advantage that told in the end. Bolton’s parachute payments have finished now and they are still heavily in debt. I agree they won’t be Blackpool but they won’t be Wigan either (or Wolves in 2013/14). Charlton and MK Dons will probably do okay, similar to Millwall this season. The point is that if City were in a position to spend significant money this summer, it could really give them an advantage over what is a more level playing field. Totally agree and maybe we just had our wires slightly crossed. The bookies make us 3rd faves and im only using that as a guide since we know odds are incorrect 60% of the time. As you say we need to spend significant money this season especially up front and centre mid. I agree with the sentiment completely. Its going to be interesting for the new owners, buying a club on the up rather than on the down (yep makes a change you can say). With the bar raised last season and PP now saying we are aiming for the automatics next season, managing expectation is going to be key for the owners. Thinking about it will failure of not getting promoted in a years time be deemed as a failure? I dont think so. I’ve said before we’ve got a significant rebuilding job to do, so the transfer dealing over the coming weeks will be watched with interest. No doubt some fans will hold off from renewing season tickets until the picture is clearer. I hope we can match last years season ticket sales but sense we might struggle to do so. There is a lot for the new owners to digest. Let see how they fare over the coming months. A very interesting piece, Jason. I read, yesterday on the BBC website a great story about Lansdown and his plans for Bristol in general, not just Bristol City. Oh how BCAFC would love such a benefactor ! BUT – We don’t have one. I agree with much of what you say, and yet you leave so much unwritten ? Don’t get me wrong, Jason – no challenge, as such from me. We are going to go ahead, moreso than ever before – and yet doubts will always remain. You have made more than valid points – yet so few- those points which we already knew. It is good you write in a positive manner, and encompass all we on here feel great about. And yet – A part of me feels something is greatly missing. Where are we actually going ? I for one would appreciate it if you could hold an audience with Rahic – I can not – for I do not have the contacts, nor the tactile questions ! 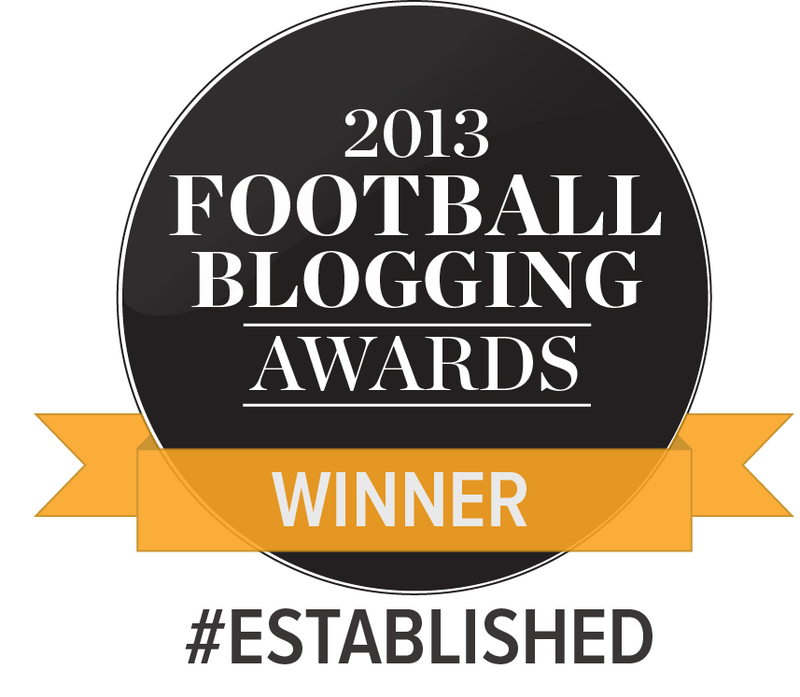 BCAFC will forever grow – but I feel I speak for many as I impermanently ask – will you post upon this ? ‘Impermanently’ …….. damn predictive text – sorry. For disclosure I have asked the question to the club already and received favourable noises back. Hoping that Rahic will agree to an interview and can put forward the questions we are all asking. I think there’s some additional comfort on the subject of Valley Parade. Quite often when new owners come in you see talk of new stadia, and a financial plan based on sale of lucrative building land. Then lots of promises are made about a new purpose-built stadium and it ends up at the fag end of an out of town shopping centre, with a nasty breeze-block theme. One thing we can say pretty definitively about the location of our stadium is that there is a real advantage to the Gibb family pension fund getting the regular income from City, as opposed to knocking it down and building on the site. Property prices are low anyway in Bradford and Valley Parade is in one of the lowest-priced areas of the District. No way would the gain from any sale outweigh ten years of rent for the club. So one of the fears that clubs might have – of a landlord selling up and forcing the club to move – isn’t a worry. Conversely, for the same reason, it would be a nostalgia-based, rather than business-based, decision for the two new chairmen to buy the ground back, and it doesn’t strike me that they are operating that way. So they can focus elsewhere with this security in mind.